Dr Sarah-Jayne Gratton is a global brand influencer who has worked with brands across the world to build both their professional and social capital. She is a member of the Siemens Influencer community, a Key Opinion Leader (KOL) for Huawei Technologies and has an impressive Twitter following (as @grattongirl). 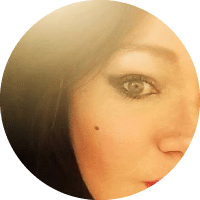 She is a passionate thought leader in her field and continues to provide an authoritative published and vocal presence within the digital media and technology domains. I’ve always been interested in psychology and behaviour, which translated itself into consumer psychology. As social channels and digital media have evolved, so too has the way that consumers interact with technology and, in turn, businesses have had to adapt their mindset to embrace this shift in behaviour. Of course, the change extends far beyond B2C and has impacted upon all global industry. My research into this exciting evolution, along with the sharing of findings across my social platforms, has made me a go-to influencer in the digital transformation arena. WHAT AREAS OF DIGITAL TRANSFORMATION ARE YOU MOST PASSIONATE ABOUT? The impact of digital transformation in the healthcare sector. WHICH DIGITAL TRANSFORMATION INFLUENCERS INFLUENCE YOU? Dean Anthony Gratton – my go-to person for my daily tech chit-chat. OUTSIDE OF DIGITAL TRANSFORMATION WHO ELSE INFLUENCES YOU? Antonio Grasso – working tirelessly on humanitarian projects and assistance through the application of new technology. A few years back, due to my popularity across social media, I was contacted by John Wiley & Sons in New York to write the new book on Twitter (Follow Me!) which was a great honour. My book, Zero to 100,000, which I co-authored with my husband Dean, has become a global best-seller and, I’ve learned, has recently been translated into Spanish! Retail: Look out for AI and Augmented Reality (AR) technologies being built into online retail systems. Amazon is looking into ways to integrate the technology into their fashion line to build a virtual online changing room. This kind of adoption is set to change the way we buy our clothes and it will extend out to other consumer sectors. Education: Digital transformation in education is already breaking learning boundaries and will continue to do so. Here, a culture of learning via digital academies is amplified through online collaboration. Students can refer friends, classes can be shared online and lecture curriculums can be accessed via the cloud – exciting times! Brands can use my website to reach out or via Twitter and LinkedIn. Also via my Media Kit.